We often cringe at the thought of traditional dentures. Many people would rather go without teeth than risk looking old or foolish. Fortunately, modern dentures don’t share any of the drawbacks we have often seen in comedies and cartoons. These days, dentures look exactly like natural teeth. They are carefully designed to fit your mouth so well, you’ll forget they aren’t your own. Even modern adhesives are better than ever. So are implant procedures. All of this makes dentures a great choice. Traditional dentures are, just as they sound, a full set of false teeth. Missing teeth—especially multiple missing teeth—can cause many lifestyle difficulties. Chewing becomes a laborious process, and speaking clearly is incredibly difficult. These beautiful, custom-designed synthetic teeth will have you eating and speaking perfectly in no time. Just as a single synthetic tooth may be attached to an implanted root, so too can a set of dentures be permanently secured into the mouth. A very common formula for this is the ‘dentures on four’ or ‘all on four’ method, where four implants in different parts of the mouth secure the entire denture appliance. Implanted dentures are as permanent as single implants. They are maintained just like natural teeth, and allow full range of function. 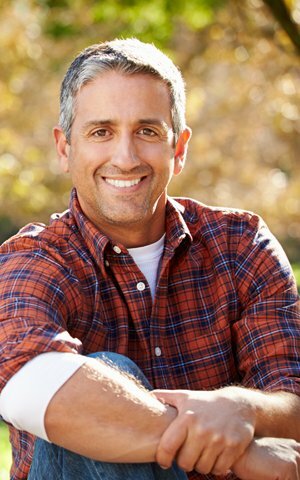 Permanent partial dentures will be secured to dental crowns or implants on either end, just as full implant dentures are. Removable dentures work something like a retainer, snapping in and out of place when needed. You denture options are many and varied. With so many choices, Fairchance Dental Arts will have no trouble coming up with the perfect set of dentures for you. You’ll speak easily and eat properly once again, restoring your quality of life. You deserve a healthy mouth. Don’t hesitate to call us today!